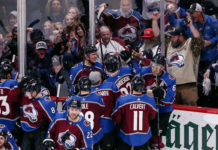 The Colorado Avalanche had no business making the playoffs for the majority of the 2018-19 season. None of that matters anymore, though. After closing out the season with an impressive stretch, the Avs are in the hunt for the Stanley Cup for a second consecutive year. The biggest difference this time around is Colorado is now accustomed to playing hockey on the big stage. It’s no secret that the Stanley Cup Playoffs are a completely different beast than the regular season. The pace of play picks up, the physicality intensifies, and only the toughest, most complete teams can survive the gauntlet. In the 2018 Nashville series, the Avs looked overwhelmed throughout – and despite winning a pair of games – it was clear that the Predators were more prepared for the intensity of the playoffs. That being said, there is hope for Colorado still. Between the experience gained in that series with the Predators, and having to overcome a difficult regular season, the Avs feel like a squad that can make some noise in the postseason. In order to do this, though, the Avs must go through the red-hot Calgary Flames. Calgary led the Western Conference with 107 points and defeated the Avs in all three of their meetings this season, so it’s undoubtedly a tough draw. While the Flames should come into the series with confidence, the last time these two teams actually faced each other was on January 9. 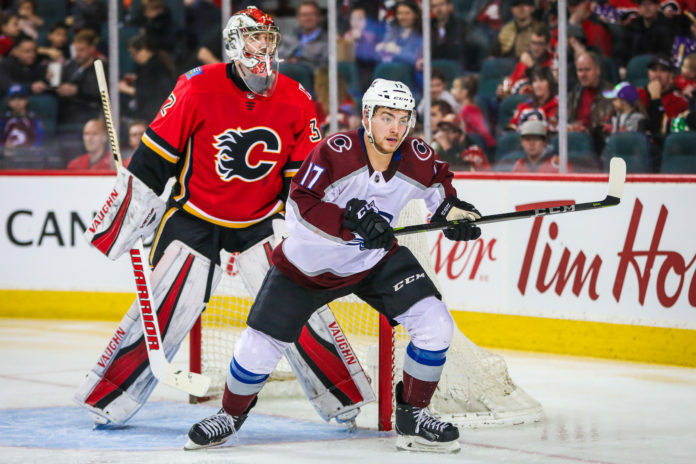 A 5-3 loss to the Flames was Colorado’s eighth in nine games overall, and part of a 3-12 skid over a 15-game span between December – January. The Avalanche are playing like a completely different team right now, though. Not only did Colorado win 10 of its final 16 games, but the club just seemed to make big plays in the most important moments. 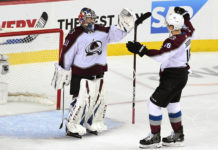 Whether it was a timely third period goal or an athletic glove save from Philipp Grubauer, the Avs consistently found ways to come up clutch in the crunch time. The other big factor in Colorado’s recent success has been the diversity of contributors down the stretch. No longer do the Avs realy solely on the first line. 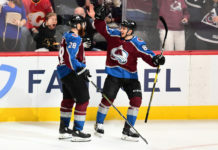 Instead, the Avalanche have been able to get production from the entire lineup and the difference has been palpable as displayed by the team’s record. Now, they just need that same mentality to translate into the postseason.